Celebrity Wakefield Trinity Players Coming Along! An evening trail race through the woodland trails of Newmillerdam Park. A looped undulating course starting at the open area around the Arboretum through the woodlands, by the lake and back around the top section of the woods to the finish. Race in association with the annual Newmillerdam Duck Race. Special prize for best duck outfit. Although not compulsory let's see if everyone can get into the Ducktastic spirit. Duck caps at least! 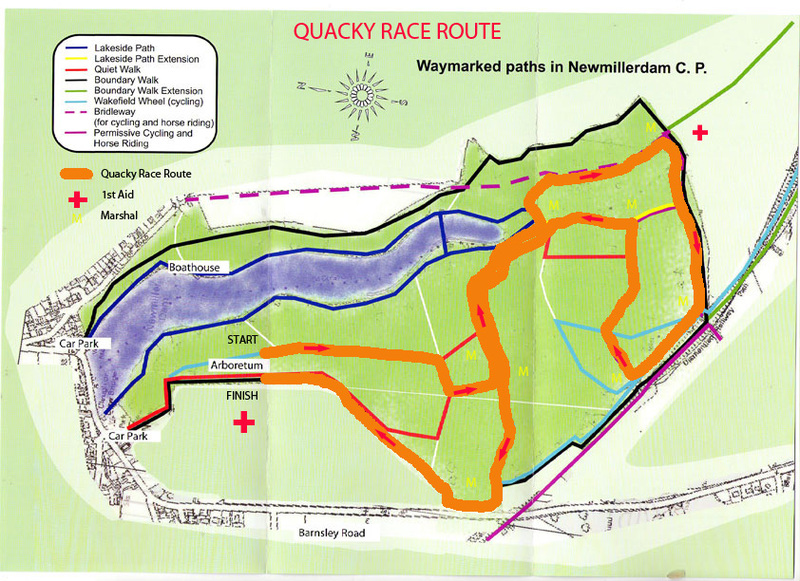 Results for the Newmillerdam Quacky Trail Race 2018 were last updated on Saturday, 28 July 2018 10:09.